After 9 days with Phoenix, I am extremely impressed with his kind heart, easy going attitude, and ability to learn. 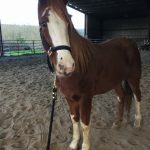 I’m already able to walk in and halter him in a stall, put on his blanket every night, feed him treats, pick up his feet, catch him in a large arena, and brush him all over. Next on our list is to learn to wear protective boots, and lounge at a walk and trot to get exercise and muscling. 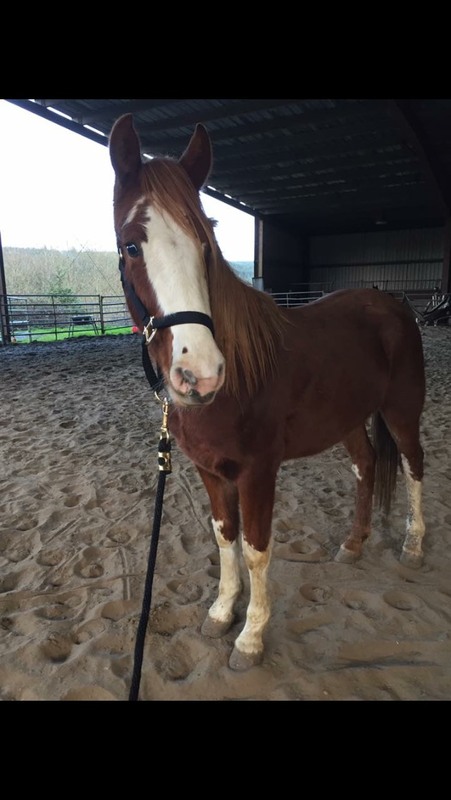 Phoenix will also be learning and practicing precise showmanship maneuvers such as hunch turns, side passing, forehand turns, and to trot and stop ear to ear with me. He already backs very well off of his halter. Although all mustangs come with their own personality and attitude, I couldn’t have asked for a sweeter horse and I’m excited for what his future holds. Phoenix is a very well built, sweet long yearling. He loves to play with the tarp, and he really enjoys attention and work. Phoenix will make someone a very excellent riding horse some day!